Short coherence for plane-parallel optics & remote cavities. 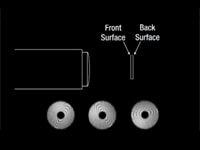 The FizCam 2000 Fizeau laser interferometer combines vibration tolerance, instantaneous phase measurement, the ability to isolate surfaces, and the ability to measure a remote Fizeau cavity or solid cavity, for highly accurate characterization of telescope optics, precision optics and prisms. 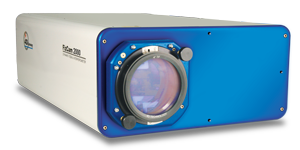 The FizCam 2000 short coherence interferometer (low coherence interferometer) simultaneously captures all phase data, allowing high-resolution measurement even in the presence of vibration and air turbulence. 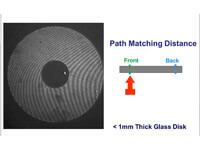 Its unique design allows instantaneous measurement of a wide range of optical components and systems.